We haven’t celebrated Thanksgiving yet, but, that doesn’t mean I can’t post these yummy holiday cake mix cookies—right? I really just couldn’t wait any longer. If you’re a regular reader here at Dear Crissy, you know that I love easy cake mix cookies. 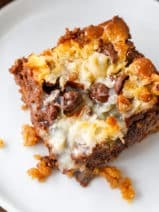 In fact, my cake mix cookie bars from last year remain one of my post popular recipes. As much as I love baking, I really don’t have time to make really complicated recipes. I do have a 4-year-old and a 7-year-old, after all, and they don’t give me a whole lot of room to experiment in the kitchen. When it comes to the busy holiday season, I sort of stick to what I know and what I love. 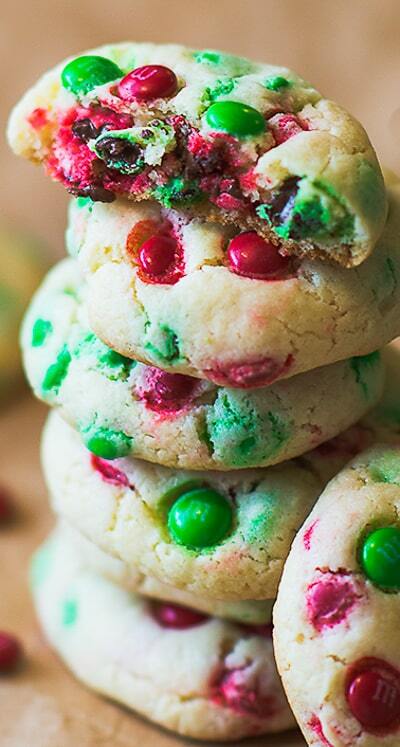 I both know and love these holiday cake mix cookies. Seriously, they are so sweet and delicious. Just perfect, really. If you’ve never made cookies using a cake mix, you may be surprised by the results. I still meet people occasionally who turn their noses up at the idea of using a boxed cake mix for cookies, but they are so, so good. 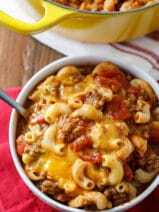 You have to try this recipe! 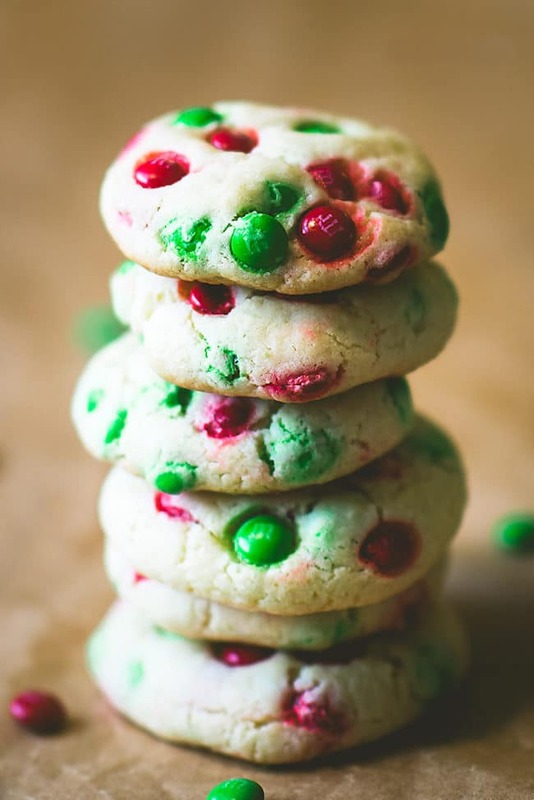 I used mini holiday M&M’s for this recipe and made the cookies on the small side. You can use any mix-in you like in place of the M&M’s. I just happen to be a huge M&M’s fan! It’s funny, not every cookie pleases every person in my family, but these? Everyone loves them—especially me! I think I love them the most. In fact, I want to make some more as I reminisce on these images. 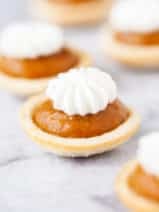 I’m planning to make a few more batches of these right before Christmas to put in some cute holiday tins and share them as gifts with friends and family. 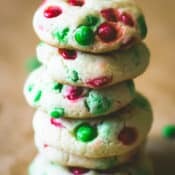 If you give these holiday cake mix cookies a try, be sure to leave me a comment and let me know if you love them as much as I do. Also, don’t miss my chocolate chip cookies. They are truly the best! I’m a bit early, but, Merry Christmas! 1 box white/vanilla cake mix 15.25 oz. 1. Preheat oven to 350 degrees. In a large bowl mix together the cake mix and baking powder, set aside. In a small bowl whisk together the eggs, oil, and vanilla. Add mixture to the cake mix, beat with an electric mixer until well blended. Add M&M’s (reserve small amount to put in the tops to make them pretty) stir in with a wooden spoon. 2. Roll in to 1 inch balls and place them 2 inches apart onto an ungreased cookie sheet. Use reserved M&M’s to press randomly into tops of cookie balls for decoration. Bake 9 minutes. Cool on the baking sheet for 2 to 3 minutes, then transfer to wire rack. Would any type of cake mix work.? Could I substitute carrot cake or butter pecan- maybe lemon? I could see adding nuts or raisins to the carrot or butter pecan and maybe blueberries or raspberries tot he lemon if you think it would work the same. Maybe chopped apples to a spice cake mix? I’ve been experimenting with these cookies for a week. They are so rich and SOOO good! My husband and daughter loved them, and I like how easy they are to make and that the batter, sans M&M’s, seems to freeze well. Thanks for sharing! 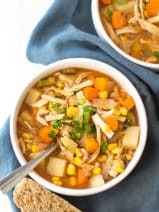 I’ve Pinned the recipe and shared it on my blog, too. I will give this a try with my family.. Thanks for sharing! Wow those cookies look so colorful. Loved it. The colors gave me a Christmas vibe, nice recipe you had !